Fans of the Deus Ex franchise are eagerly anticipating the release of the sequel to the latest incarnation of the series. If Edios’ alpha-build preview shown at E3 can live up to the potential it has set for itself, Deus Ex: Mankind Divided will be well worth the wait. 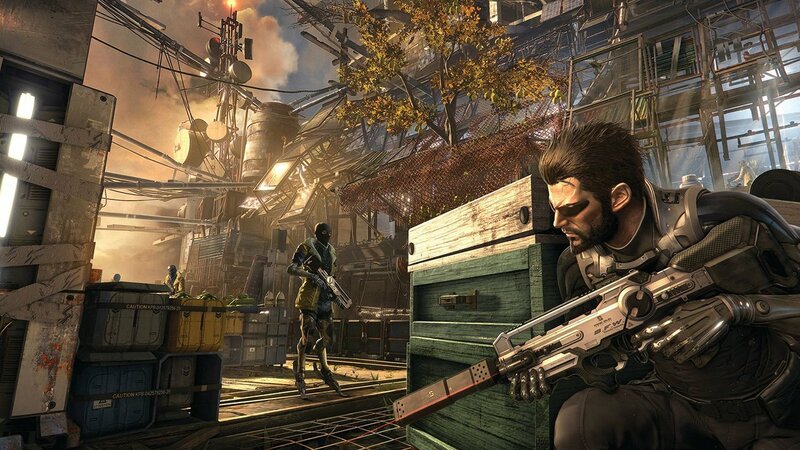 This mix of Action, RPG, and Third-Person Shooter presents deep ethical dilemmas arising from the result the previous title, Deus Ex: Human Revolution, and draws the player in with its engaging gameplay and variety of decisions that fans have grown to know and love from the franchise. Players will make deep choices where every action has a consequence that will influence the outcome of the game. The world that was formed by the end of Human Revolution was a bleak, dystopian society that was left heavily divided. As a result of Adam Jensen’s actions, a massive, disastrous event occurred within the world. Augmented humans rose up and caused a major disaster that affected all of society. Mankind Divided takes place two years after this event when society is still suffering from those days, and as a result, there is a serious divide between humans and those that have been artificially augmented. Distrustful of the Augs, as they are referred to, the humans have created Aug-only ghettos that are heavily guarded, with the ultimate intention of keeping them suppressed, and thus preventing a cataclysmic disaster from occurring once again. The ghettos are dirty and crowded and the dismal oppression is evident throughout the ghetto scenes as the guards bully the already spirit-broken Augs into submission. The world created harkens back to the feeling inspired by District 9 where racial prejudices are not only rampant, but highly encouraged throughout human society. 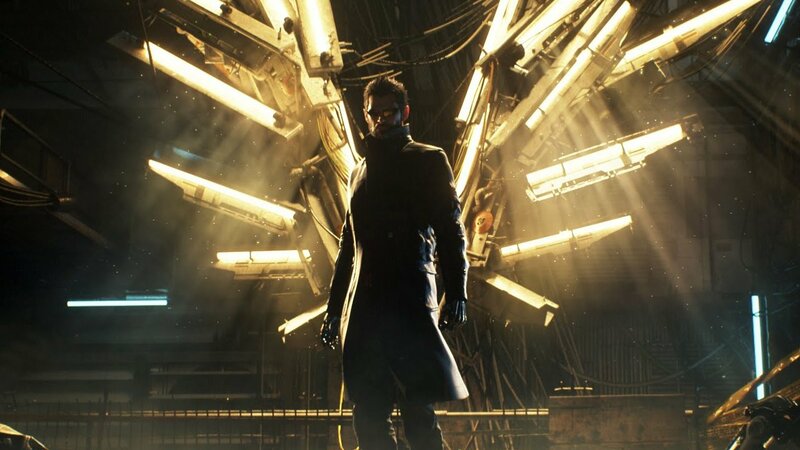 Adam Jensen is back and working for a human-run, a special forces division of Interpol called Task Force 29. He is a counter-terrorism operative whose goal is to subvert any Aug attacks and organized crime syndicates that resulted from the disaster after the events of Human Revolution. However, Adam suspects something bigger is at play, believing that the Illuminati are involved in the creation of Task Force 29. As a result, he works as a double-agent secretly investigating from the inside and finding a way to take them down, thus ending the conflict between the humans and the Augs once and for all. With the help of Alex Vega, a woman with close ties to the Hactivist group Juggernaut Collective, Adam investigates numerous attacks and searches for clues to find this connection and bring peace to society. What draws people to Deus Ex is the openness of the gameplay. Mankind Divided continues this by once again focusing on its four pillars of gameplay – stealth, combat, hacking and social combat. Players can choose to go all-out in gun-blazing glory, complete the entire game without killing a single person, hack through challenging puzzles, become a master of diplomacy, or any combination of the above. Edios has made it clear that they have focused their efforts on improving all forms of combat through the implementation of new augments and abilities, as well as improving those that fans have grown to love in Human Revolution. Edios recognizes that fans are drawn to the open, non-linear nature of gameplay in the Deus Ex series. With a wide variety of paths to chose from, players will enjoy exploring new routes to take within levels. Routes within levels are built both horizontally and vertically, which can lead to so many diverging possibilities for the player. 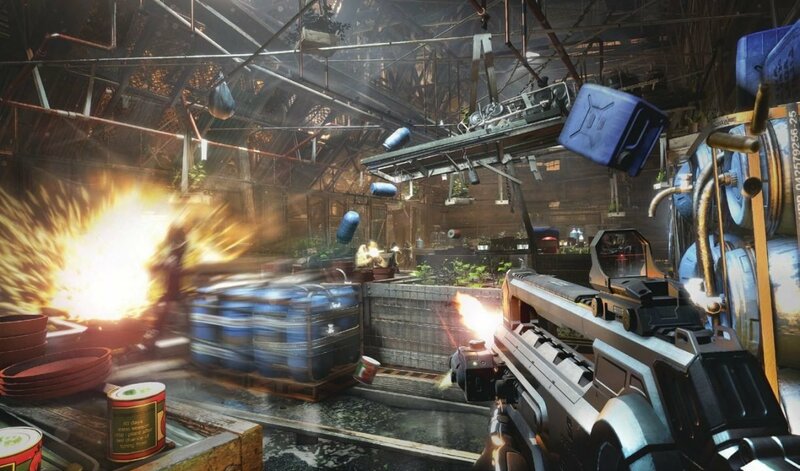 Since Mankind Divided is a multi-solution and multipath game, paying close attention to your environment is a must. Divergent pathways in the environment yield different results, such as characters with information, new story items, and lore that contributes to the world-building of the game. Known for its enthralling stealth mode, Mankind Divided has many features that take this form of gameplay to the next level. Adam’s new cloaking augment allows him to sneak past enemies with ease. The tesla augmentation for Adam’s new arm-gun allows you to take down up to four enemies with a non-lethal electric pulse, while the Icarus dash lets Adam run quickly by dashing and jumping, creating new paths both vertically and horizontally. New, non-lethal weapons such as the EMP gun allow you to take out cameras, which will allow players to continue along their path undetected. Smart vision has been upgraded this time around, allowing Adam to use it to collect intel on his enemies, and takedowns have been greatly improved, as Adam can now perform this technique from cover. Whether or not you decide to use it to knock out the enemy or eliminate them, it will have no effect on your stealth. As is clearly evident, Edios have worked hard at elaborating on the non-lethal elements of stealth gameplay. For those fans that want to live the glory of becoming a master hacker, Mankind Divided has you in mind with their improvements to hacking tasks. The new augmentation Remote Hack can be used to open up new pathways, disable cameras and drones, and even convert them to your side. The classic hacking style has been given a facelift with challenging new puzzles to combat, and new software available in response. If combat is more your style, Edios hopes that new augments and features will create a more visceral, thrilling and action-packed way to battle through levels. The arm-gun comes with some compelling combat augments such as the Nano Blade. Versatile and fast, it can be used in close combat to slice your enemies, or as a lethal projectile from afar to either kill on contact or set out as a grenade to take out a group in a matter of seconds. Adam’s Icarus abilities can create combination moves such as the Icarus Fall and Icars Strike to quickly disable any enemies that cross his path. If overwhelmed by enemies, Adam’s Nano Armor adds an extra layer of protection, turning him into a “human tank”. His Augmented Vision can see enemies from behind cover, with the drawback that it doesn’t differentiate between living and dead enemies. Finally, Focus will slow down the world around you as you quickly fly through enemies to take them out. In addition, weapons and ammo can now be changed on-the-fly with ease. With the heavy theme surrounding the story of Mankind Divided, it is only natural that Edios brought its A-game to Social Combat. They have improved animations, body language, and facial expressions to better communicate the intentions of the character you are facing. The dialogue choices players are provided with now react to previous situations and choices made earlier in the game. There are many chances to make arguments with the other characters with choices that are varied and could go many ways. Characters communicate the philosophy and deeper ethical dilemmas presented in Mankind Divided, and the outcomes in the Social Combat system have a seemingly endless variety of results. These range from the undoubtedly negative, such as armed reinforcements forcing you into combat, to the positive, such as extra support for your side, and even additional information that will be crucial as the story progresses. 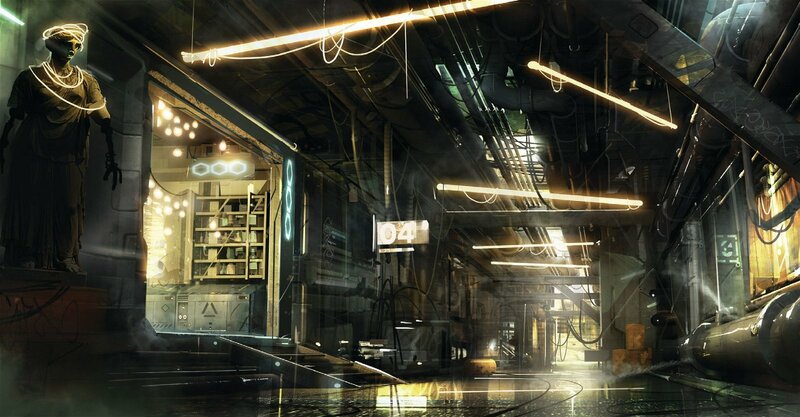 With so many intriguing improvements, Edios have set the bar high for themselves for Deus Ex: Mankind Divided. If it can live up to this potential, it should be something that will keep the fans of the series more than satisfied, as well as bring in new fans who may not yet be familiar with the franchise. One way or another, we will find out next year when it’s available for all platforms if it can deliver on such exciting promises. In the meantime, let us know what you think in the comments below!